When Do Mosquitoes Go Away? ​​When Do Mosquitoes Go Away? We've all probably heard the term “mosquito season,” but is there such a thing? It really depends on which part of the world you're talking about. Mosquitoes are cold-blooded and therefore prefer a warmer environment. Because of this, climate plays a huge role in the lives of these flying insects. 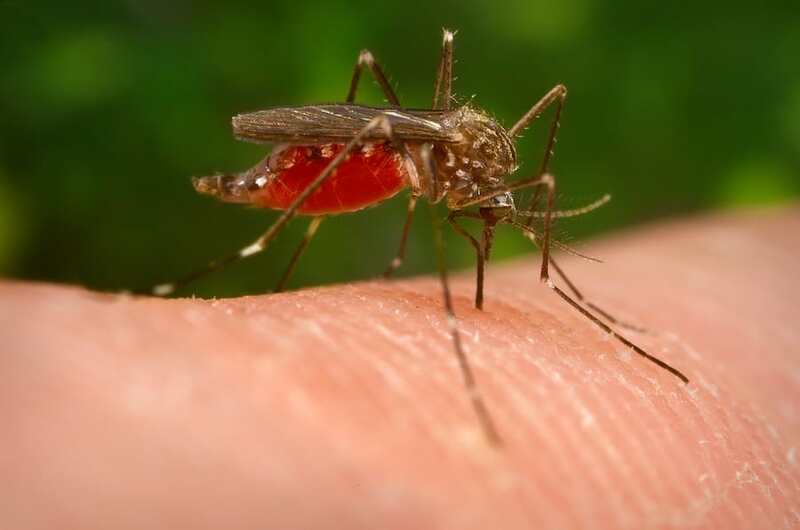 Depending on the species and climate, mosquitoes do call it quits in the cooler months. Some will die, while others wait it out. Some female mosquitoes will go into diapause (hibernate) during the winter. They will usually find a warm, moist place to spend the colder months. They then safely thaw and emerge as soon as the temperature stays above a stable 50 degrees Fahrenheit. Other females lay their last eggs in freezing cold water and, shortly after this, they will die. Males of all species do not hibernate during winters. Their lifespan is already very short and their primary purpose in life is to mate and fertilize female mosquitoes. They become very sluggish and inactive when the temperature drops to 50 degrees, eventually dying when the weather gets cooler. The species which carry diseases, such as Zika, dengue, and yellow fever, all lay their last eggs in late fall. Both males and females will die as soon as the temperature drops. However, their eggs survive. Either safely freezing or hatching as larvae, which then go dormant like the female adults. As soon as spring shows its warm embrace, they'll be ready to hatch and wreak havoc everywhere they go. One might think that the diseases die with the adult mosquitoes when winter hits. If only it was so simple: mosquitoes carrying Zika virus have been shown to pass on the virus to their offspring, continuing the dangerous heritage. I'm sure we've all noticed the decrease in mosquito activity during late fall and early winter. This is because the hibernating females will need to change their diet to fatten up for the cold months ahead. The other mosquitoes become inactive or die. For these mosquitoes to go into diapause, blood isn’t enough. The mosquitoes need sugar and carbohydrates instead, so they switch to a vegetarian diet, feeding only on nectar and plant sap. While mosquitoes are very dependent on the temperature or climate in which they live, they are also very adaptive insects. The oldest mosquito we know of is similar to our modern day pests, and was found in a 79 million-year-old amber shard. This means that some mosquitoes even survived the ice age. Mosquitoes have also coped with millions of years of climate change since. One particular mosquito species which is famous for its adaptive larvae is the Wyeomyia smithii, commonly called the pitcher plant mosquito. These mosquitoes spend their pre-adult lives inside the phytotelmata - the water found inside the pitcher plant. Pitcher plant larvae have figured out how to adapt to the ever-changing climate by following the light hours of the days. So, as soon as the days become shorter with winter’s approach, they will enter their dormancy. Some parts of the world are seeing much hotter summers each year, due to global warming. This change in heat means that some mosquitoes die, or become very inactive, during the summer and thrive in the winters instead. As the temperature rises above 80 degrees, heat has the same effect on mosquitoes as the cold does. The insects will become slow, inactive, sluggish and will eventually dehydrate and die. Anywhere with a tropical or subtropical environment is sure to have swarms of mosquitoes. The dangerous viruses are most often found in mosquitoes known to thrive in these sorts of climates. These include the Aedes and Anopheles mosquitoes. One major reason why the diseases are found in these sort of climates is that the viruses require a certain temperature to quickly transmit. Viruses such as Zika and dengue thrive at 84 degrees, this is the peak temperature for virus transmission rates. If the temperature is any lower or higher, the risk of transmission reduces.